Contractors’ Questions: Can I be forced to use an umbrella company? Contractors’ Questions: Is my agency right to say I must be a brolly? Contractor’s Question: I’m currently working as a contractor for the MoD on a short-term contract. But just before starting it via an agency, I was told by them that -- due to tax complexity, I’d need to use an umbrella company. This is despite me working via the agency as a PSC for years. Are they adhering to government policy as they’ve implied, or fibbing? Expert’s Answer: Since April 2017, changes in IR35 legislation mean that public sector hirers, in your case the MoD, is now responsible for determining a contractor’s IR35 status and deciding if an assignment is inside or outside IR35. Prior to April, the responsibility for determining whether a contractor was inside IR35 -- and paying appropriate tax -- lay with the contractor. Now, under the new reforms in the public sector, the onus is on the hiring company, so many employers are much more cautious. Some people claim that end-users are even wrongly labelling all contractors as inside IR35. 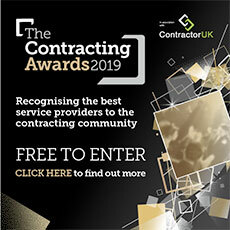 It’s true that in some cases hirers are deterred from using external contractors altogether, or projects have gone on hold due to a shortage of skills as contractors choose to leave the public sector. Your agency has ‘suggested’ that you work through an umbrella to overcome any complexities that the new rules have introduced. By working through an umbrella, IR35 is not relevant because the umbrella employs you, and PAYE and NICs are paid in the same way as any employment. Choosing to carry out the assignment through a limited company is still possible, but would have a higher degree of accounting complexity. Though contractors are understandably reluctant to be taxed via Pay As You Earn (PAYE) without being assessed for IR35, in many cases it may be the best option available. However, I would urge you and other contractors to pick the umbrella company carefully. Many umbrella companies have been set up to cater for public sector contractors who might not have the experience to fulfil the role. It is important, in our view, that the umbrella you work through has compliance accreditation. Crucially though, do please be wary of umbrellas claiming to be ‘HMRC approved’ as HMRC doesn’t offer seals of approval. If you use a reputable recruitment agency to find work, they may have a Preferred Supplier List (PSL) of umbrella providers to choose from. The recruitment firm should have undertaken ‘due diligence’ on the umbrellas from a compliance perspective, otherwise the recruitment firm could be liable for failing to prevent tax evasion under the new Criminal Finances Act. Good luck! The expert was Julia Kermode, chief executive of The Freelancer & Contractor Services Association (FCSA).